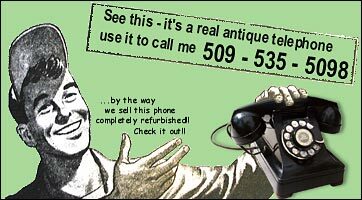 Complete the look of your bungalow . . .
. . . with these real dandy vintage antique telephones! One candlestick model is a highly accurate reproduction. 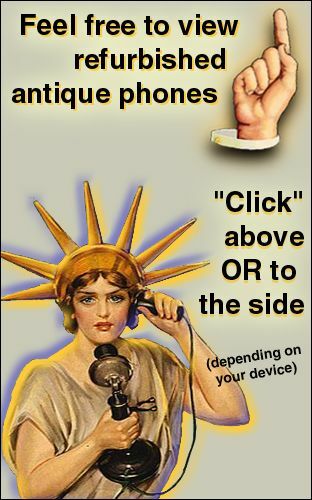 All other models are the actual antique telephone itself, that have been meticulously restored both cosmetically and functionally. 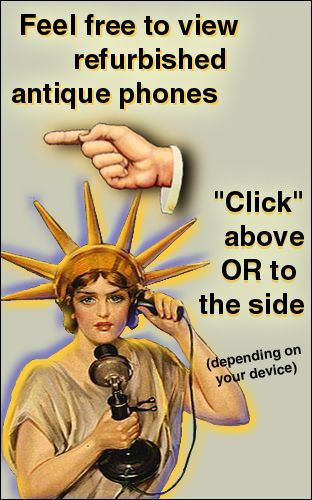 Always great conversation pieces, you won't be finding anything like these at your local phone store!